Also known as K2, Spice is another name for synthetic marijuana. This substance is manmade, and it creates a high similar to that of cannabis. Despite the name, synthetic marijuana does not have any of the organic properties of naturally occurring marijuana. Spice is nothing more than chemically treated plant product. The plant has nothing to do with the marijuana family. Sometimes, Spice is a combination of dried herbs, and other times it may be crushed leaves of a common household plant or garden bush. The leaves are sprayed with chemicals known as cannabimimetics that will produce a high effect similar to that of tetrahydrocannabinol, also known as THC. The Partnership for Drug-Free Kids reports over 11,000 people were treated for events stemming from Spice abuse in emergency rooms during 2010. In 2012, a law went into effect making Spice illegal, but before that, it could be purchased easily at convenience stores and head shops. There aren’t many discriminatory factors when it comes to who abuses Spice. Age, however, is the biggest determinant. Statistics show that young people are more likely to experiment with or abuse this drug. It is the third most commonly abused drug among America’s high schoolers, per the Partnership for Drug-Free Kids. Males appear to be more likely to abuse this drug than females. The National Institute on Drug Abuse notes the results of a 2012 survey in which 14 percent of high school males used Spice, compared to 8 percent of their female peers. Abuse extends to those even younger than high school, as 2015 survey results from NIDA report 3.1 percent of eighth graders used Spice. People with mental illness may also be more likely to abuse Spice since they have a greater likelihood of drug abuse altogether. 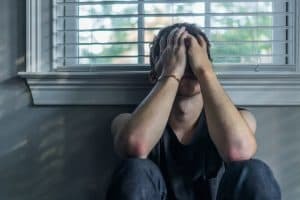 These conditions – mental health issues and substance abuse – often influence the development and perpetuation of each another, per Everyday Health. Some people may abuse Spice because they think it won’t show up on a drug test like natural marijuana will, but technology has caught up with Spice in recent years. It is now detectable on drug panels. People who abuse Spice may suffer from increased anxiety. The high it produces is sedating, so loved ones may suspect something is off with a family member or friend who can’t seem to stay awake through dinner or who is falling sleep on the job. Some people may stop communicating well with others, and this can actually be because they’ve lost the ability to speak. This very real side effect of Spice is almost always reversible once the drug wears off. Paranoia is also very common while abusing Spice. While natural marijuana typically doesn’t induce hallucinations and a psychotic state, Spice does quite often. The risk of incurring these side effects seems to be more likely the more the drug is abused. Death is even a potential risk with Spice abuse. Newsweek reports the number of people dying from Spice abuse tripled between 2014 and 2015. Treating an addiction to Spice involves many moving parts. First, detox has to take place. This step carries a client through withdrawal to the point of being sober enough to accept other forms of treatment that will help them abstain from using again. Withdrawal may be uncomfortable at times, but the medical detox process allows clients to receive medication and other forms of therapy, such as massage and acupuncture, to mitigate some of that discomfort. The entire detox process should take no longer than a week. Side effects of withdrawal, such as angry outbursts, hot flashes, nausea, fatigue, anxiety, and drug cravings will peak within 24-48 hours of the last time a person used the drug and should begin to become milder after 72 hours. Mental and emotional side effects may persist for as long as three weeks in people who abused Spice heavily. Following detox, clients are encouraged to continue enrollment in rehab for an extended period of time. Talk therapy, either solo with a therapist or in a group setting with peers who are also going through rehab, can be extremely beneficial to each person in treatment. Attending support groups such as Narcotics Anonymous can also help individuals to stay on track during treatment and ongoing recovery.